This op-ed piece first appeared in the Erie Times-News on August 18, 2017. Last weekend, white supremacists marched and then rioted in Charlottesville, Virginia while the country looked on in horror. We have been conditioned to fear terrorists from other countries who speak different languages and practice different religions, but these violent, hateful extremists were mostly young white men, and mostly Christian. Those of us who are Christians need to acknowledge this, and we need to respond. It is comforting to assume that our faith never truly took hold in the hearts of people who are so hateful and so given to violence. But history makes plain that we are not entitled to such comfort. In 1493, the church “granted” to Spain the lands where Columbus had landed. The assumptions that this land rightfully belonged to white European Christians and that the church ruled the earth in God’s stead were symptoms of the catastrophic theological arrogance that would have devastating consequences for indigenous people around the globe who would be sacrificed on the altar of Christian empire. The decree that promulgated what became known as the “Doctrine of Discovery” gave the church’s blessing to colonization which, in turn, brought about the need for slave labor to make the colonies economically viable. Nearly two years ago, I stood in the slave dungeons of the Cape Coast Castle on the coast of Ghana. Beginning in 1664, the enormous fort was in the hands of the British, who used it to send nearly three million enslaved Africans to the New World. The soldiers and sailors who lived in the castle and traded in human beings built their Anglican chapel directly above the men’s dungeons. My own church, the Episcopal Church, is directly descended from these Anglican slave traders. There are many more recent examples of the church’s complicity and active participation in racism, prejudice and bigotry. Most churches in the United States split over the issue of slavery, with southern churches supporting the Confederacy during the Civil War. But even in Union territory, segregation often prevailed. Here in our Episcopal cathedral in Erie, black people were made to worship separately from white people well into the twentieth century. During the Nazi regime, Christians belonging to the German Evangelical Church supported Hitler and the extermination of Jewish people. Even the Confessing Church in Germany, often lauded for its resistance to Hitler, spoke primarily about the church’s independence from the state and, with few exceptions, did not speak or act in support of Jews being deported to their deaths in concentration camps. And in South Africa, the Dutch Reformed Church actively supported the racist system of apartheid that finally fell in 1991. It is possible to argue that those whose hearts are filled with racially-motivated hatred have never understood the true teachings of Jesus of Nazareth, but only if one acknowledges that the church itself has misunderstood these teachings. It may, however, be more accurate to say that churches, for centuries, have denied the radical egalitarianism of Jesus’ teaching for its own self-interested reasons. The President continues to send what can be described, with an excess of charity, as mixed signals on issues of racial, religious and ethnic intolerance. The church, with a humility born of its own sins, but a boldness born of its faith in Jesus, must challenge any ambiguity with the clarity of the Gospel. It is our duty to speak out, to engage the civic organizations of our communities on behalf of those who are being persecuted, and to name evil where we see it—whether it is in our leaders, or within our own equivocating souls. The Rt. Rev. 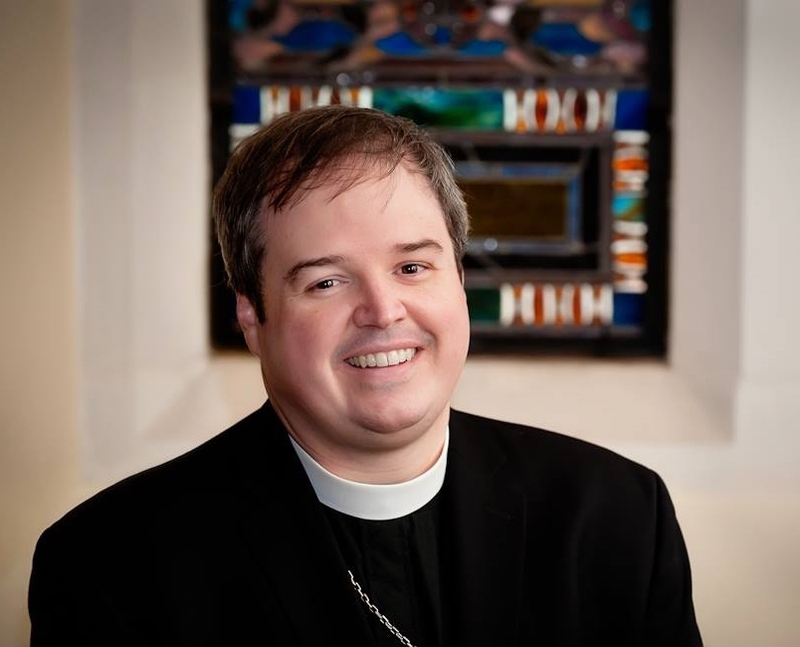 Sean Rowe is the Episcopal bishop of the Diocese of Northwestern Pennsylvania. He and his family live in Erie. This entry was posted in Bishop Sean and tagged Bishop Rowe, Bishop Sean, Charlottesville, op-ed. Bookmark the permalink. It is so empowering to hear Bishop Sean speak truth in these days of uncertainty and fear. Thank you Bishop for helping us remember from whence we came and to whom we belong but also how it all happened with all of the imperfections that went along with it.